Tu B’Shvat at JFS is always a delight! 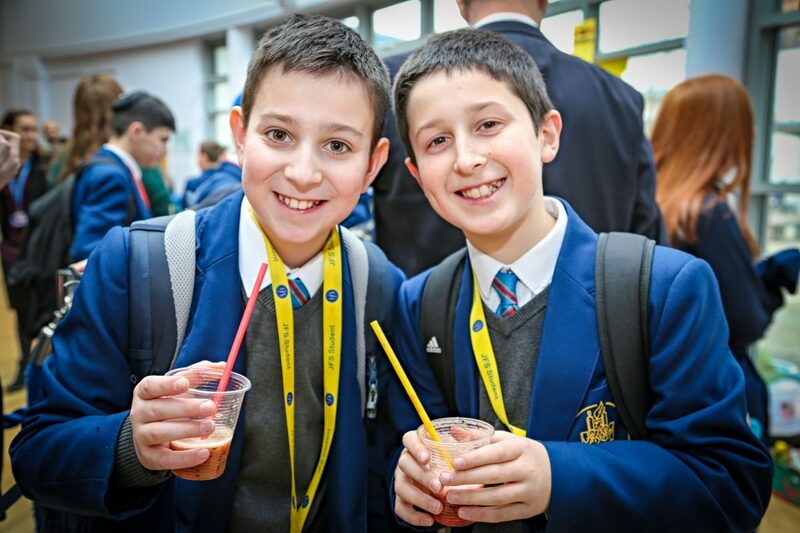 As part of their Jewish Studies lessons, Year 7 students learned all about fruits, including the seven kinds of fruit that the land of Israel is blessed with, together with their symbolism. They then enjoyed the delicious fruit and grape juice in celebration of the day. During lunch break the whole school was treated to a fruit and sweet extravaganza. Students crowded around the chocolate fountains with their fruit sticks and those that fancied a smoothie had a novel experience of DIY. Students chose the fruits they wanted in their smoothies and hopped onto a bicycle. The harder they cycled the smoother their smoothies turned out. A memorable experience was had by all and all the money raised went to the JNF, their chosen charity for this activity. Well done to the JS and JiEP staff.